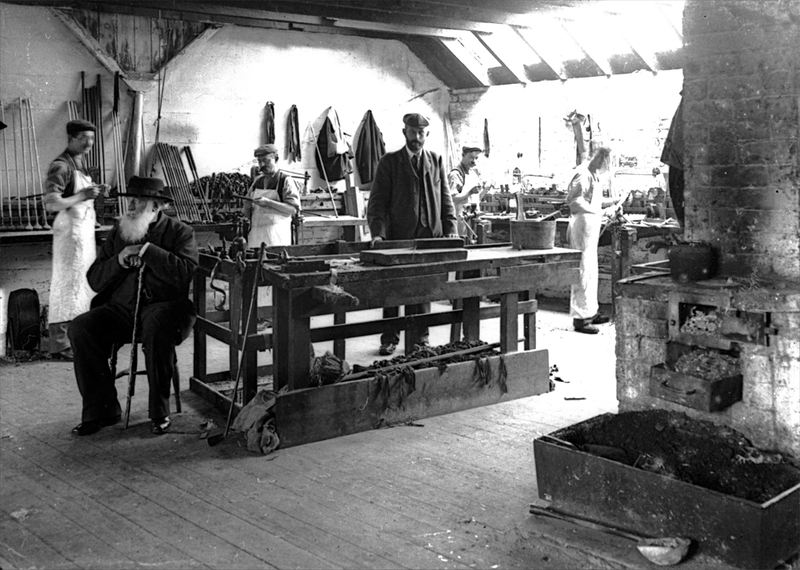 Robert Forgan, began making clubs, as a joiner, in St. Andrews in 1852 in Hugh Philp’s shop – at that time, the only such shop in St. Andrews. Philp had begun the business around the start of the century as, previously, St. Andrews’ only access to clubs was from the visits to the town of the Musselburgh clubmakers Peter McEwan and Simon Cossar. 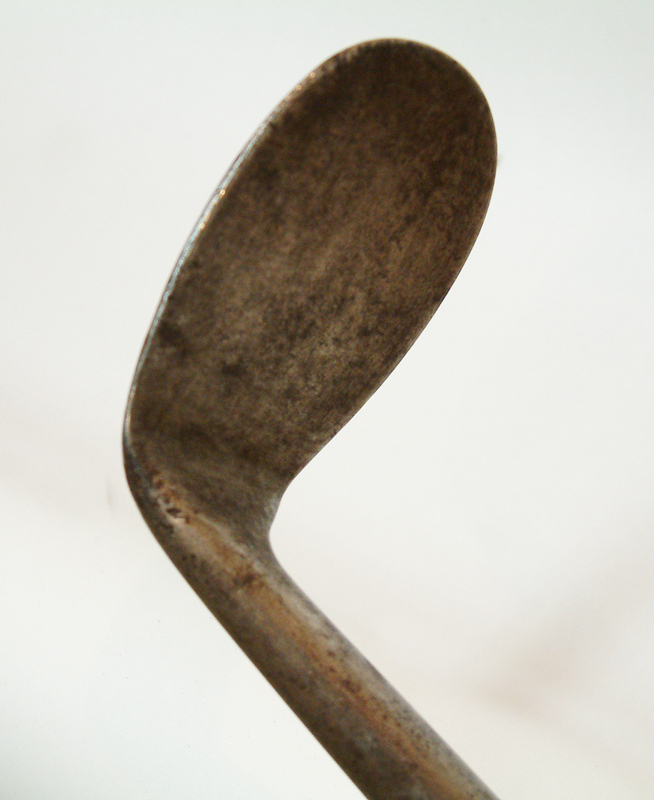 Some early clubs are marked “Philp Forgan.” He succeeded Philp in 1856 and started trading under his own name. At this time, there were two clubmakers in St. Andrews, James Wilson (who left Philp’s employ when Forgan joined) and Andrew Strath as his assistant. At the same time Forgan recruited Jamie Anderson. 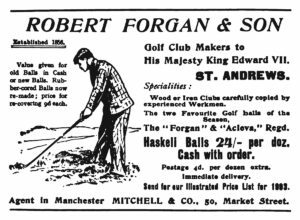 Forgan’s obituary cites that the two clubmakers were very friendly: they bought their wood together, divided it into two tranches outside their shops and drew lots to determine who should take possession of which pile. In 1863 he was asked to make a set of clubs for the Prince of Wales, on the occasion of his Royal Highness becoming Captain of the R&A. The heads of these nine clubs were of apple, the shafts hickory and the heads were stamped with the prince’s crown and the initials with the makers’ name on the lower side of the head. This later allowed Forgan to use the Prince of Wales’ ostrich plumes device as his cleekmark. The mark was changed to a crown on the death of Queen Victoria in 1901. In 1887, he bought the Links Coffeehouse at public auction. He did not begin making his own iron heads until the 1890s, earlier ones having been bought from Robert White and Tom Stewart. 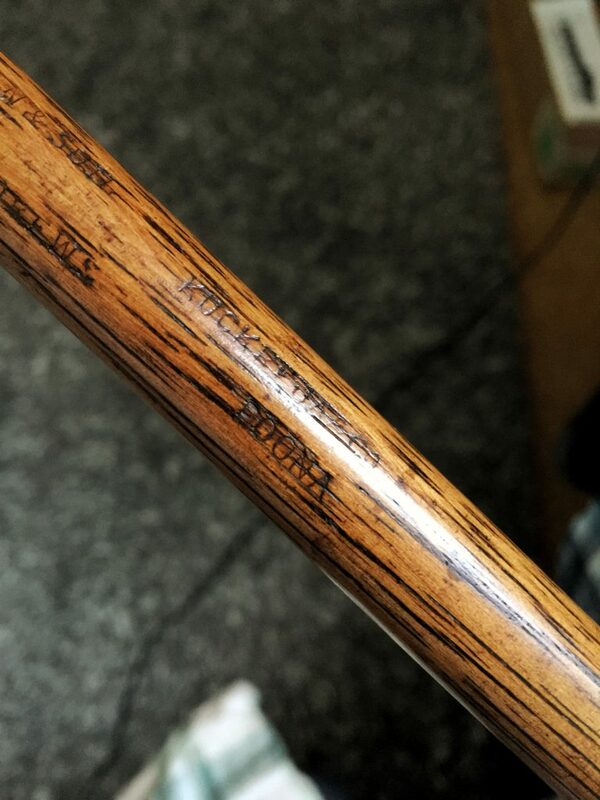 During his time with Philp, he was one of the earliest advocates of hickory shafts and with Tom Morris, was credited with the bulk-buying of the wood allowing lower prices for clubs. He is credited, by some at least, with the innovation of fixing the ram’s horn edge guard (the “slip” or “bone”) to the sole with angled hickory pegs. Other innovative technology from him included the use of “Forganite,” a wood treatment applied to a bulldog driver both to make it weatherproof and to remove the need for any additional weighting. He also introduced a ‘drainpipe’ putter where the head was a right-angled extension of the socket designed for putting on fast greens. The asymmetric angle shaft is another of his contributions. 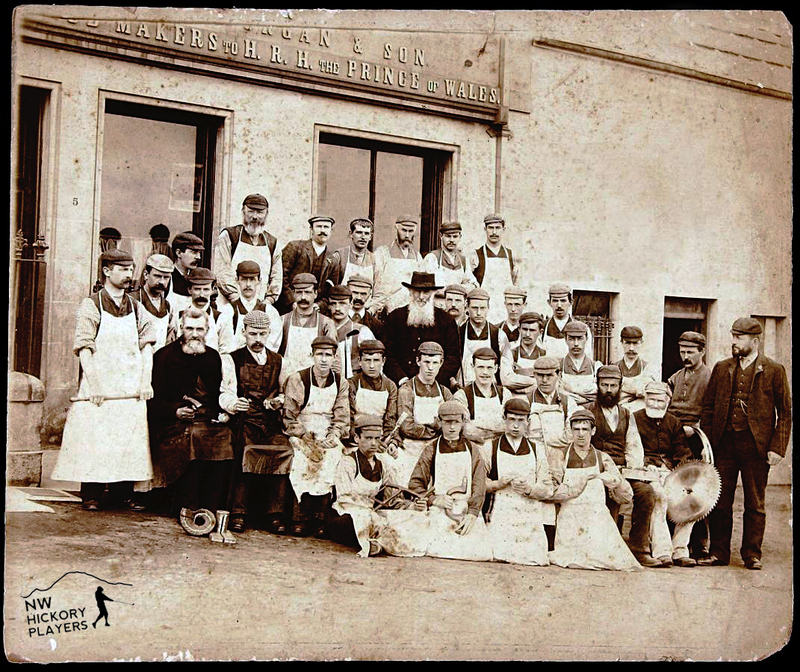 His youngest son, Thomas, joined the business in 1881 when it became R. Forgan and Son. 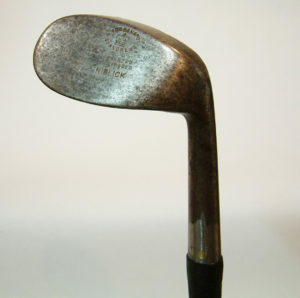 The firm was the largest producer of golf clubs in the 1890s and, in the same period, its ball production was almost as great. In 1920, it was reconstituted as a limited company. It continued operation, for a time under the control of Spalding, until the 1960s. 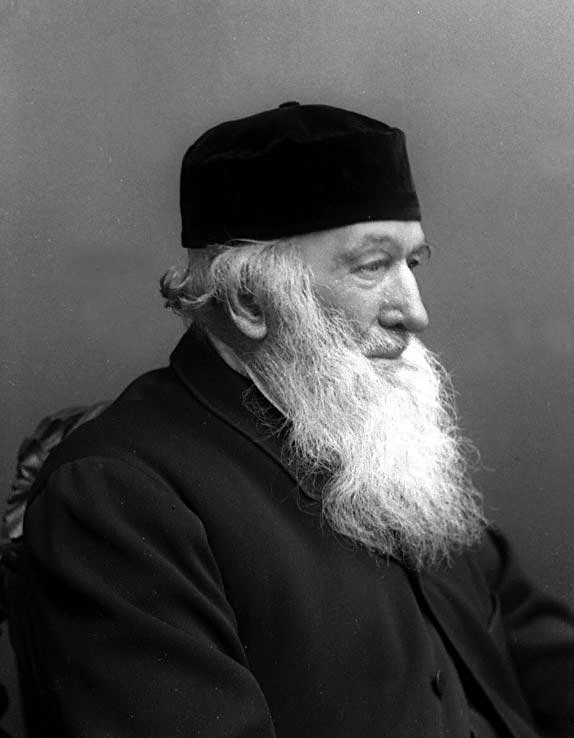 Robert Forgan died on December 15, 1900. 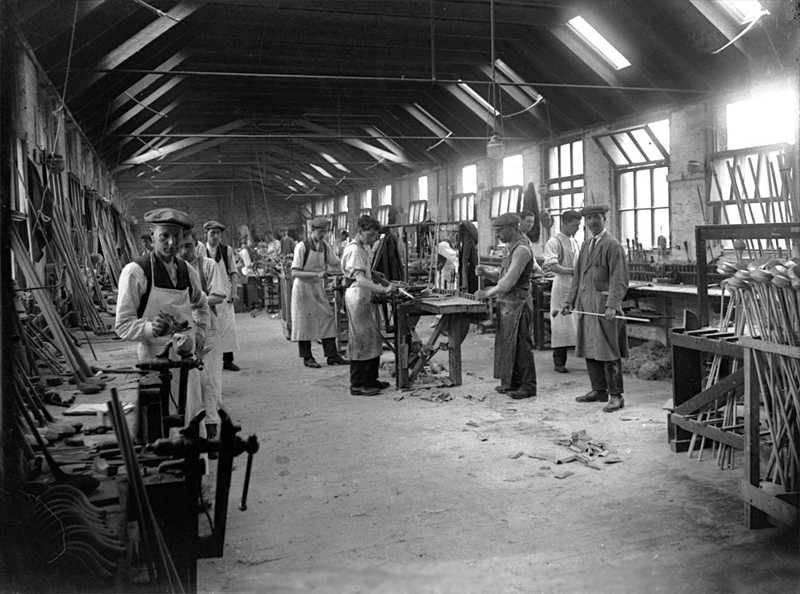 So many famous clubmakers learned their trade at the Forgan factory but it can’t all have been sweetness and light as the clubmakers went on strike in 1911 because of the time they lost in marking their card at the clock and returned on the conditions that “there shall be no lying time, that no marking takes place when the men are leaving work at five o’clock, except when they are working overtime.” They were clearly a special breed, the manager during the First World War, Alexander Brown, was exempted from military service at the same tribunal which ordered Spence & Gourlay’s top two cleekmakers to sign up. Using thorn, apple and pear woods for heads and ash for the shafts, Philip mastered his craft, revolutionizing play with shapes that, literally, broke the mold. “Of clubmakers, no man has ever approached Hugh Philip,” wrote James Balfour-Melville in his Reminiscences of Golf. “Even now, to possess a club of his is a treasure like an old Cremona violin to a musician, or a Toledo blade to a swordsman. He was a quiet and thoroughly respectable man with exquisite taste, while he was simple in his manner.” After Philip’s death in 1856, the tradition of Forgan’s continued to flourish amid healthy competition from nearby rivals Tom Morris and David Anderson & Sons, Patrick of Leven, and the ambitious AG Spalding of London, which set up a branch in Fife to house their newest venture. Robert Forgan, Philip’s nephew and protégé, took over the company. Under his reign, imported hickory was dried under cover by the side of the 17th fairway at St. Andrews. In each of the Black Sheds (since recreated on their original site as a formidable obstacle within the famous Road Hole), there were rectangular stacks of square-cut shafts, each containing as many as 8,000 rods apiece. After a full 12 months’ seasoning they were deemed ready to be rounded off by hand and offered for sale. Forgan’s was a thriving business, but elsewhere in the region the economic situation was much grimmer. The fall in herring stocks hit many hard, and those displaced from the fishing industry needed to find new work. Some became the first caddies and professionals, missionaries dispatched to convert the golfing agnostics. 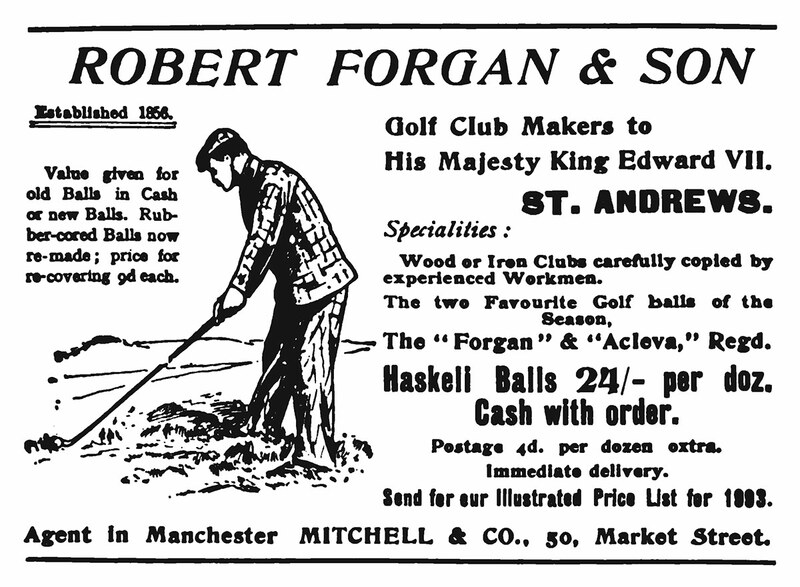 Forgan hired agents to take orders from any country where golf was played. Closer to home, the family remained engaged in local affairs, making large donations to St. Andrews Martyr’s Church, where a beautiful lancet known as Forgan’s Window is still preserved. Despite seemingly robust health, the Second World War sounded the death knell for Robert Forgan and Sons’ family enterprise. “They couldn’t cope with the international market,” Seeley explains, “particularly when American clubs flooded the market.” Distracted by attempts to reproduce its once-unique gems en masse, the stricken company was eventually taken by over the American-owned Spalding. Under their auspices production resumed briefly in 1945. The disused factory was eventually turned into the original St. Andrew’s Woollen Mill where visitors could enjoy tweed, free coffee and shortbread. Instead of caddies popping in to have their grip altered or a new wood carved, there were sweaters and scarves by the dozen, a homespun formula which, like its forerunner, would soon be replicated beyond the bounds of the old town. In May 1988, the building was bought by the Royal and Ancient Golf Club. Over the past years it has been extensively refurbished to create offices that will be ready in time for the R&A to oversee the 131st Open. 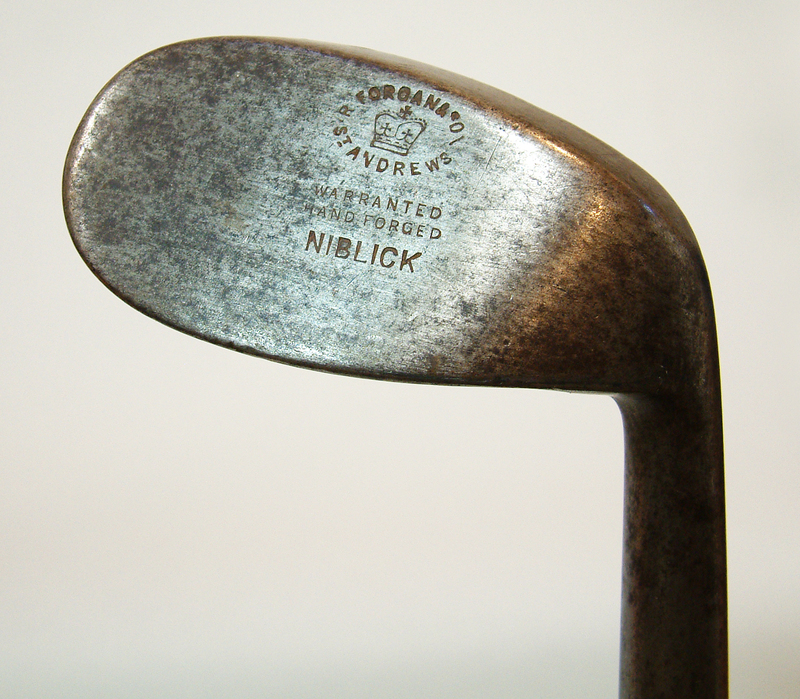 This 47-degree smooth face niblick is from c. 1901 and is as reliable today as it was the day it was first made. Voila! The shaft stamps are interesting; there’s the usual “R Forgan & Son St Andrews” but there is a second, clear, stamp next to it, stating, “Kuckefua & Co Poona.” Poona refers to “Pune, India,” near Mumbai. I wasn’t able to find any online references to the firm; likely a retail firm around the turn of the century.